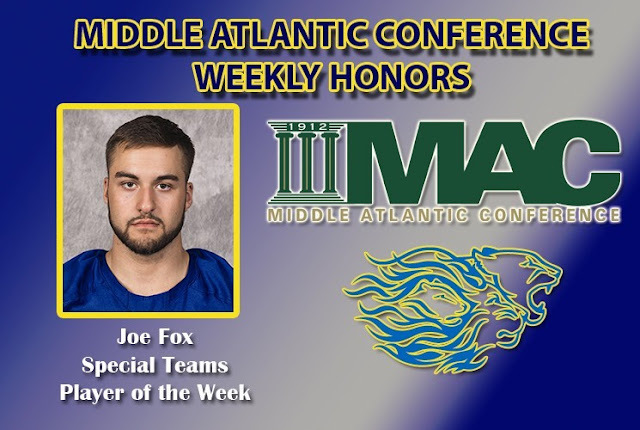 ANNVILLE, Pa. (Sept. 18, 2016) – Joe Fox (Beverly, N.J.) has been named the Middle Atlantic Conference Special Teams Player of the Week, as announced by the league office. The junior is being recognized for the first time of his career. 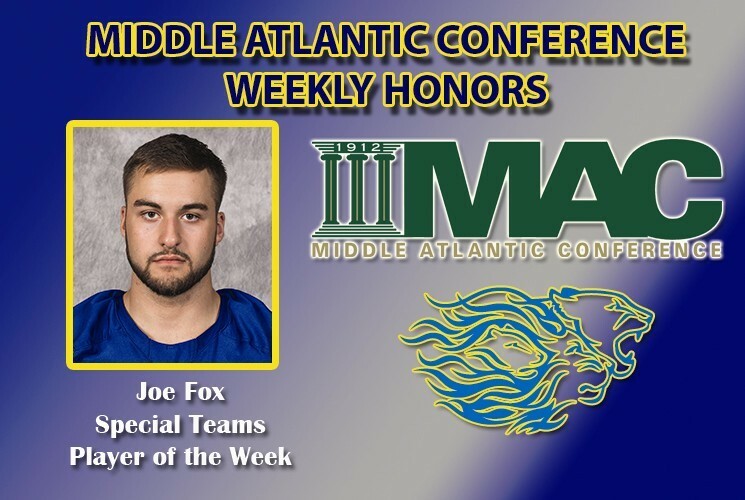 Fox made a big special teams play for Widener’s punt block team early in the third quarter when he scooped up the ball and scored a touchdown from 11 yards out after FDU-Florham’s punter was unable to handle a bad snap. The score increased the Pride’s lead to 26-0 at the time and blunted the Devils' hopes of a comeback in what would eventually end as a 40-7 triumph over FDU-Florham. Widener (1-1, MAC 1-0) returns home to face Wilkes on Saturday, Sept. 24 at 1:00 p.m.